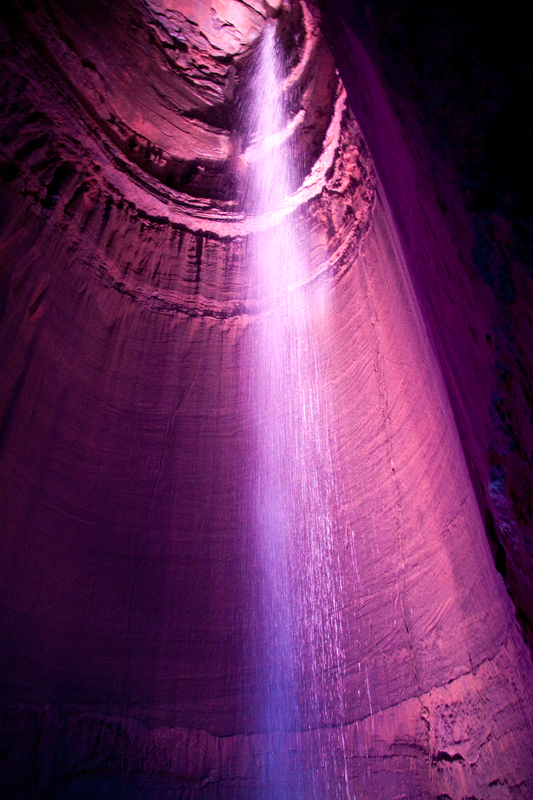 On our road trip to Florida – my parents and I decided to stop in Tennessee to see Ruby Falls. If you drive to Florida taking i75 – you might notice all of the Ruby Falls signs along the way. We decided to take a detour on Feb 20th 2012 to check out the falls. The falls are located 250feet underground deep inside a cave located at mountain lookout in Chattanooga, Tennessee. For about 15 dollars they will take you on a tour underground – via high speed elevator 250 feet down and then on a walking tour through the cave tunnel which leads to the falls. They are pretty magical. Click the photo to see more.